Yesterday Pirate101 announced that the game would be down for a short maintenance while they brought some updates to the game early this morning, and WOW! They did not disappoint at all! They brought tons of new things that have been frequently requested. I will give you an overview of some, but you can see the complete list in the update notes. 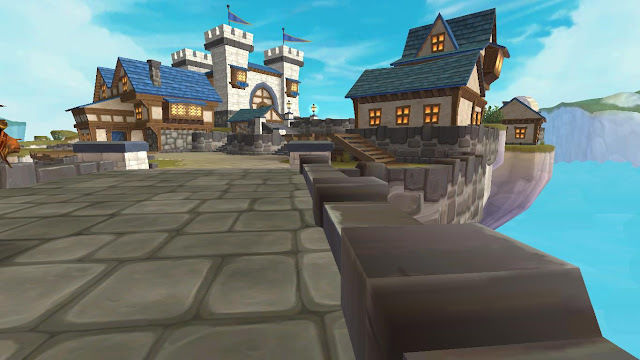 One of the major updates was the new houses. These are the most epic houses available for either game so far. 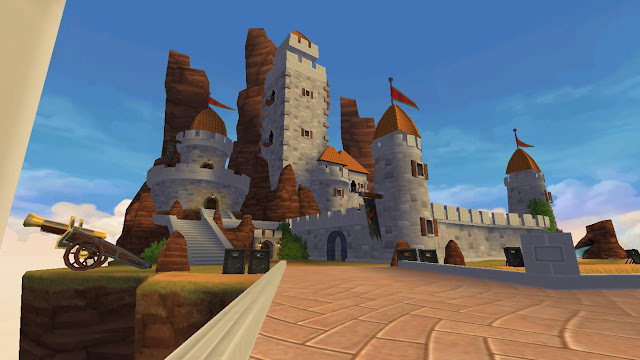 The Kingsisle game team really outdid themselves this time. Each one contains a PVP area, items to interact with, hidden areas, and more space than I know what to do with! They are really awesome! And each one costs only 10,000 crowns or 100,000 gold! Here is a sneak peek at the outside of each one, as well as a description! 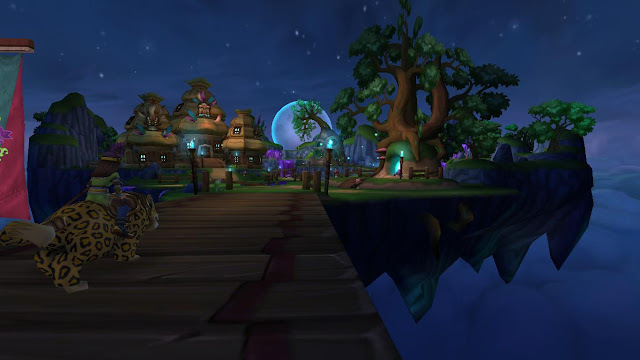 *Note* Thanks to Sorceress Miklai for letting me view her houses! This house is awesome, with rain and lightning. When you arrive, you see this huge skull with the house built on top of it. And when you go inside, it just keeps going up and up and up. There is an interactable practice area with Armada dummies, a catapult, a gong to summon Luska, and a hidden aquarium! The musketeer house looks like a castle. There is lots of room inside and a practice shooting/target range where you can shoot pop-up Armada guys! There are also interactable cannons and guns outside that you can shoot to defend your fortress! This house is one of my favorites. It looks a lot like Marleybone or Port Regal to me. There is actually 2 smaller houses and one medium/larger house that are all connected by an underground sewer system! There is a hidden War Room in the larger house and a bell you can ring in the PVP area. I also found out on Twitter that there is a fountain you can interact with as well! (Credit to Alric Ravensinger) How cool is that!?! The swashbuckler house is decorated with a statue of El Toro. 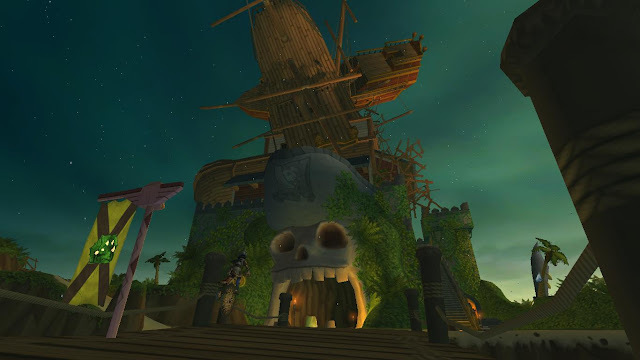 There are 2 house/building type areas to decorate, as well as a shipwrecked ship that you can go inside of and decorate too! And don't miss out on the hidden area behind the fireplace and the surprise behind the bookshelves! Low on health? 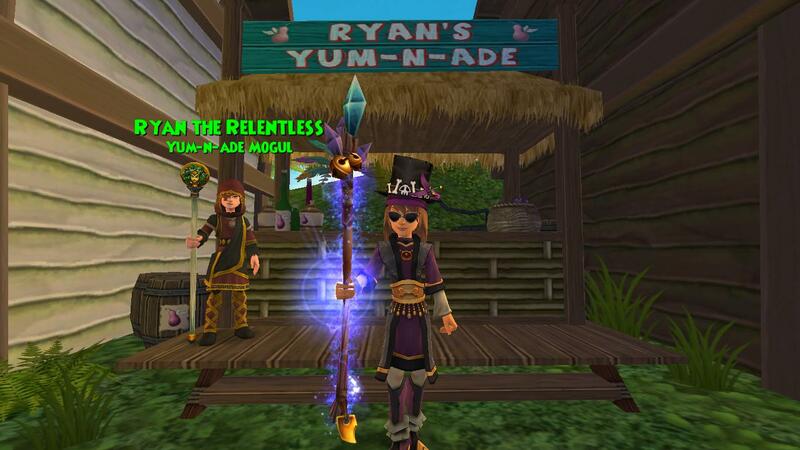 You can now visit Ryan the Relentless in Skull Island. His Yum-n-ade stand in located between the robe shop and the weapon shop. Talk to him to refill your health for only 100 gold. 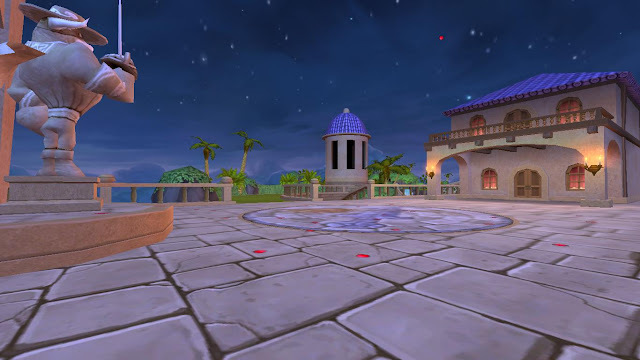 If you aren't already familiar with the story of this NPC, you can read all about it on Kingsisle's blog. This is a feature that I have been hoping for since the game went live, and I am really happy they finally added it! Gifting allows you to purchase certain items with crowns and send them to a friend. This feature can be turned on in the parental controls section of your account for people under 18 years old. There are new furniture items for each class that are sold in sets of 7. Each class has 3 different sets, for a total of 21 items. These can be bought for 4500 crowns or 22500 gold. There are also a few single items for each class (beds, chairs, fountains) that can be bought for between 1750 and 5000 gold. Teleporters can be placed in your house or dorm and come in 8 different colors. They allow you to transport from one place to another, either inside the same house, or to a location in a different house. If you aren't sure how they work, the update notes explain more. They are available for 2500 crowns each or 9995 crowns for a pack of 6 random colors. There are 6 different mini-game stations that can now be bought and placed in your house. You can purchase them singley for 2000 crowns each or as a pack of 6 for 7500 crowns.